er equally or more relevant academic disciplines for explaining changed behavior in schools are marginalized to a secondary, supplementary and less functional role in explaining and predicting learning. We have a solid and expanding body of knowledge regarding how people learn from the field of psychology.The problem is that psychology tells us how individuals learn. If we want to know how groups of people learn we must turn to sociology and anthropology or to biology and chemistry but then we may no longer speak of “learning” we speak of”socialization” in the case of the social sciences, or “growth” in the case of the physical sciences.Children have a biological/chemical inheritance and the operative concept for explaining the changed behavior resulting from these forces is “growth.” Simultaneously, children learn from their parents, families, communities, religions, societies, and environments and by the languages they speak to change their behavior and the operative concept is “socialization.” What is overlooked in giving psychology hegemony over understanding and managing school learning is all the ways in which “growth” causes learning and “socialization” causes learning. Teachers ignore the most powerful forces causing children and youth to learn. Rather than harnessing”growth” and “socialization” to foster student learning, school people seek to merely cope or compensate for these powerful forces while they never stop trying (and failing) to apply the learning theory of psychology to school learning. The attempt, almost a century-long attempt now, to identify and develop a research base and theory of school learning has not been realized. The reason that those concerned with school learning have not been successful at taking principles from psychology and developing them into concepts which add up to a theory which explains changing behavior in schools is that psychological studies of learning use the individual as the unit of analysis.In schools educators then attempt to apply the results of these studies to learning that must occur in groups, classes and schools. In school research the unit of analysis is the class, the school or a particular age group or ethnic group, not the individual.Schools are places organized on the bizarre expectation that groups of children and youth of the same age “learn” at roughly the same rate and in the same ways. Schools organized on the basis of age-grades are an American cultural and historic phenomenon that have not only survived but thrived (1/2 trillion dollars per year, 54 million children in 15,000 districts over four hundred years) and will not be transformed simply because their assumptions reflect neither the realities of student growth and socialization nor any research or theory of human development.Schools reflect what America wants not what America needs. Schools place a secondary value on the learning that results from”growth” by claiming they cannot be held responsible for the effects of students’ biology and chemistry. By assuming that they cannot be held accountable for changes in behavior that result from “growth” schools seek only to cope with rather than utilize these very powerful forces. In truth, the forces that exert the most powerful influence in changing behavior (i.e. learning) are biological and chemical forces that schools have never learned to harness and use. Some examples (if any are needed): the natural drive for children to move and not sit all day has never been adequately dealt with by schools. The fact that teachers spend most of their time talking and giving directions which have little or no impact on learning is well-documented. What is less well known is that early childhood teachers are the most directive. The natural drive of teens to learn from how they interact with peers is used to explain gang behavior, or teen music and dress but is not used by the school to increase learning. The influences of peers on teenage growth are only understood by school people as impediments to learning not as powerful motives that the schools might harness. After a century of trying to educate teachers to have students work in groups (unsuccessfully) most teachers still resist team or cooperative learning by raising the ‘brilliant’ question, “How will I know who earned which grade?”Because biological and chemical “growth” is not under the aegis of the school it is not be utilized to change desirable behavior. This explains why middle schools do not foster even minimal “learning.” By attempting to overcome rather than utilize the forces of “growth” in teaching and learning, educators wage war with youth—andlose. As a result of rejecting the forces of growth and not translating them into teaching strategies, no school can withstand the throes of puberty.Educators merely categorize “growth” as either normal or abnormal and seek to compensate for abnormalities that have been legally defined as handicapping conditions. Educators see their goal as focusing on the”learning” that can result from training students placed in groups called classes and in super large groups called schools. Rejecting theknowledge bases of biology and chemistry that explain how growth impacts learning from preschool through high school guarantees that schools cannot be relevant to the lives of students. Marginalizing the most powerful forces which explain student learning using concepts from biology and chemistry is an insuperable handicap to both our understanding of why schools don’t teach all they should and to planning what they might become. In short, limiting school practice to the theories and research of psychology cannot lead to effective schoolteaching and learning because psychology seeks to explain how individuals learn and schools are locked on the assumption that”learning” must occur in groups. As with biology and chemistry, educators assume schools can do very little or nothing about the values, beliefs, attitudes and ideologies that students bring with them. Educators only cope with or compensate for these forces. In sum, the paradigm on which school is based is that biology and chemistry do not explain “learning” and only deal with less important things like “growth” that affect students outside the classroom and off school grounds. Similarly, sociology, anthropology, linguistics, economics and environmental studies cannot explain anything really useful about “learning” to educators; they only provide understandings of things over which the school has no control and therefore which may impede or facilitate “learning” but which do not inform educators of how “learning” really takes place. The most common way in which educators do utilize the physical and social sciences in their work is to justify to the public why it is not the fault of the schools that students are not learning as much as they should. It is the “baggage” (and this is the word commonly used) students bring to school with them and for which the school cannot be held accountable. The arrogant but clear message of the schools is, “until you send us better children you can’t expect us to provide more learning.And the meaning of “better” is forms of growth and socialization that supports what we have always done and continue to do. In a very real sense it is the job of the people, the parents and the students to meet the needs of the school. Where psychology as a discipline is relevant to school leaning is in identifying and dealing with students who have special needs. Under federal law (I.D.E.A.) every student with special needs is provided with an Individualized Educational Plan which educators are expected to implement with them as individuals. But the practice of inclusion places these students in regular classes with teachers who obey this law by teaching 25 students without handicapping conditions as a group in order to implement the individual IEP’s of 6 others. As a result, it is quite accurate to state that limiting the research and study of “learning” to primarily psychological constructs as a way of understanding life in classrooms is highly problematic and cannot reflect life in schools. In sum, the means, the processes, the methods, the procedures by which people learn and change their behavior which result from understanding the knowledge bases in the physical and social sciences are not applied to school learning. School learning is informed primarily by concepts developed in psychology in spite of the fact that the unit of analysis of that discipline is the individual.So long as the primary knowledge base for informing educators regarding how people learn and should be taught remains limited to psychology we will continue to fail at developing the knowledge base needed to fully understand how children and youth might learn in schools. The most common way in which this argument is rejected is to say, “But I know teachers who do individualize their instructionand that’s what all teachers should do.” Do you believe these teachers you know who are willing and able to individualize instruction teach in classes that reach thirty five or more and in middle and high schools where they teach 140 students or more everyday? Do these great teachers you can cite represent most of the 3.5 million teachers?1/3 of the teachers?A small minority of teachers? This fallacy of reasoning by example is analogous to claiming that because not all smokers get lung cancer then the statement”smoking causes lung cancer” can’t be true.After interviewing over 5.000 teachers and making 2000 classroom observations over the last half century I estimate that about 8 percent of the teachers are highly effective star teachers who do differentiate their instruction for at least part of the day. This is about one in twelve. Recent studies not only support this estimate but also provide substantial evidence that I have over estimated the number. 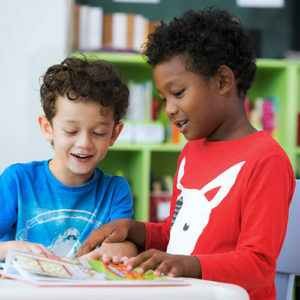 Pianta’s recent study of 2,500 classrooms in 400 school districts shows that the typical child has a 1 in 14 chance of learning in a rich, supportive classroom environment.Fifth graders, for example, spend 91 percent of their time listening to the teacher or working alone on low-level worksheets. (Robert C.Pianta, Opportunities to Learn in America’s Elementary Classrooms, SCIENCE, March, 2007). These findings are no different than Ned Flanders found 45 years ago. Am I really saying that there is presently no theory of school learning and that the reason for this is that we limit ourselves to the constructs of psychology for developing such a theory? Exactly! I recently examined the four most widely used texts sold to faculty in schools of education to teach “learning” to future teachers. The courses these texts are used in are well known to teacher educators. They carry titles such as “Principles of Learning for Teachers,” or “Introduction to Educational Psychology,” or “Learning in Classrooms.” There is no accredited teacher preparation program in the country that does not require at least one such course. There is no state department of education that does not require such courses before they will accredit a college or university as having an approved program of teacher education. No other academic discipline has any where near such total control and influence over the “knowledge” required of future teachers. 4-6 students feign helplessness regardless of how much the assignments are watered down and never complete assignments. 6-8 students need for attention prevents them from staying on task and interferes with the work of others. 1-2 students see themselves as having been hurt by teachers and seek revenge regardless of the task or assignment at hand. 4-6 officially labeled special needs students with IEP’s. It is important to understand that the causes of feigned helplessness, the need for constant attention, assurance, control, revenge, or to observe rather than participate cannot be fully explained by psychological constructs.At least a dozen academic disciplines provide valid theoretic and research based constructs that explain these student behaviors. Thinking of classes in real schools comprised of these six subgroups I found little in the texts that explain either why students take on these roles or what a teacher could do to best teach students assuming these roles. But worst of all, I found no connection anywhere in the four texts between the endless lists of recommended behaviors given to prospective teachers and any theory of learning. In a desperate attempt to convince myself that surely these texts on “learning” would have some relevance to the real world I looked up the terms “classroom management” and “discipline” in their glossaries. Each of these volumes consisted of over 300 pages. In each case I found less that two pages of do’s and don’ts dealing with discipline and no connection of these recipes to any theory of learning.The volumes themselves are endless lists of things teachers should do without any connections whatever between their endless admonitions to any psychological theory. The reason for this is simple. The interminable advocacies are not based on or derived from any psychological theory… none. It’s interesting and curious that the theory of learning accepted by the over whelming majority of psychologists which has the strongest theory and most solid research is behaviorism and this is the least popular theory among teacher educators and teachers.It is strange how educators want to use psychological theory as the means for conducting school learning but reject the theory universally accepted by psychologists. Most teachers recognize the six subgroups described in the above classroom yet deal with the whole class as a group. Following are the most typical behaviors teachers pursue in classrooms. Which of these teacher behaviors implement radical constructivism, information processing theory, cognitive constuctivism, social constuctivism, situated cognition, or socioculturalism? Two thirds of what happens in classrooms is talk, two thirds of the time it is the teacher talking and two thirds of the teacher’s talk is giving directions. Which of these six “theories of learning”explains this talk? Following are some of the most typical teacher comments one can hear in a classroom. These are comments made by star teachers as well as by average teachers and quitter/failure teachers. Which of these comments indicates that the teacher is implementing one of the six “theories” of learning textbook writers of the texts in learning claim exist? “OK. When you finish p. 65 answer the questions and put your papers on my desk. Laticia, we’ve spoken about this before. I’m going to have to call home. Do these statements and the literally thousands more just like them show that a teacher is implementing the learning theory of radical constructivism? information processing theory? cognitive constructivism? social constructivism? situated cognition? socioculturalism?Can any of these theories provide other sentences that would take the place of these sentences or any other teacher talk? Can these theories ever be specified into teacher talk? The fact that they cannot is a powerful indication that they are the constructs of textbook writers and “scholars” unable to apply their supposed “theories” to the real world of schools. There is only one category of persons in the school being taught by a psychological theory of learning. It is the teacher–and the shapers of her behavior are the students.Behaviorism, the premier theory of learning from psychology is supported by almost a century of research and is based on the proposition that individuals learn their behaviors, all their behaviors and only their behaviors. Supporting propositions of this theory are that the strength of an individual’s motivation and the power of the rewards and punishments an individual receives immediately upon completing particular actions will determine and shape his learning. A few teachers, mostly of preschool and young children, make a half-baked stab at implementing behaviorism using pretzels and smiles.Unfortunately, such rewards are weak to begin with and become weaker as the children get older. Children in the upper grades may still be bribed with McDonald’s certificates but as they mature their peers’ approval and disapproval becomes more important than their teachers’ approval. Even more unfortunate for teachers who seek to implement behaviorism, their punishments lack any power. Throwing a student out of class is likely to be a reward not a punishment since he gains peer approval. For this reason, suspension and expulsion does not lead to positive behavior but reinforces negative behavior.Teachers cannot extinguish negative behavior because neither their rewards nor their punishments are sufficiently strong. Students are not “rewarded” when a teacher they don’t care about smiles at them or says “right.” The rewards of peers for not complying are much more powerful. On the negative side, teachers cannot deny food, or safety, or sleep. And even in the 22 states where they can still hit students they cannot hit hard enough or often enough to extinguish behavior. Nevertheless behaviorism is at work in schools since each class has only one teacher and the students can individualize the way they shape that teacher’s behavior.How is this done? The teacher has much more at stake than the students. Unless she has independent means, she needs the job, the health insurance and the benefits. These rewards of staying employed become more powerful as the teacher gets older and is less likely to be able to get a job with equal benefits. In addition to staying employed, the teacher is motivated to get through the day with the least stress.The teacher knows that the primary criterion on which she is evaluated is whether she can control the class. Great teachers do this by relating to and motivating their students. Most teachers however seek to manage by implementing various schemes of classroom control and discipline. Even the least endowed teacher soon realizes that whether she likes it or not she retains her sanity as well as her position at the students’ pleasure. If they don’t want her as their teacher they can get rid of her or make her life miserable by not cooperating or following her directions. If they want her as their teacher they can maintain a semblance of order and comply with her directions. “‘It’ didn’t work.” If the teacher tries a particular instructional strategy and the students comply the teacher says,” ‘it’ worked.” Using their compliance or their resistance as a reward for the teacher the students shape the behavior they want their teachers to “learn.”In effect, teachers teach within the boundaries set by their students’ expectations. And since most students experience poor instruction most of the time (13 out of 14) beginning in their earliest grades, they develop expectations that limit each subsequent teacher to the poor practices of their predecessors. For example if students have always been taught by the pedagogy of poverty they will give a creative, caring teacher a hard time if she tries something new. Only star teachers, (the top 8 percent referred to earlier) understand this dynamic and have the instructional expertise to break this cycle. (The functions performed by great teachers are summarized in Star Teachers of Children in Poverty, Haberman Educational Foundation, 2005). It is unfortunate that the most widespread and powerful example of a psychological theory of learning that is being implemented in schools explains the power of students over teachers and the maintenance of the pedagogy of poverty. What is the Source of Best Practice? Lacking a theory of teaching and learning and locked into reenacting a cultural/historic role expected by the public in places called schools, great teachers can get most of their students to learn the stated curriculum of the school.By collecting and cataloguing their functions and the ideology that undergirds these functions a knowledge base of best practice has developed. Because it has no unifying theory some demean it as craft knowledge but this knowledge has an analogue in what other professions refer to as clinical experience.If mastered it works. How teachers might learn these best practices presents a two-fold problem. They can only be learned by teachers whose value systems predispose them to want to learn these practices. They are more readily learned by mature adults than by late adolescents between 18 and 22 years of age.Teacher’s best practice cannot be imitated or duplicated unless the teachers to be trained share the values and ideology of effective teachers. In the absence of this ideology the behaviors themselves become vacuous reenactments without the power to influence the learning of children and youth. One example of this ideology is the following. Effective teachers believe that success in school is a function of effort. Quitter and failure teachers believe that success in school is a function of ability. This leads great teachers to search for and implement activities that will garner and generate student effort. Teachers who explain success on the basis of ability simply lower expectations for students they perceive as having less ability.It is necessary to believe that effort leads to success. Without this undergirding commitment the teacher’s attempt to involve students becomes a hollow exercise rather than a powerful force on her students’ behavior. Children and youth know the difference between a teacher trying to get them to work because she believes they will be successful and a teacher trying to keep them busy who really believes ability is the basis of success in school. The fact that ideology undergirds behavior means that in the real world teachers and future teachers must be recognized as more than blank slates upon which to write down the functions of best practice. Unless the teacher is predisposed by her value system to believe in an ideology that supports best practices she cannot be taught to implement best practices.Once the importance of the teacher’s ideology has been recognized and accepted the question then becomes how an ideology is learned, whether or not it can be changed and who knows the best practices for changing teachers and future teachers’ ideologies? This raises the question”Should the resources of teacher education and professional development go into trying to change teachers’ ideologies in order to teach them best practice (on the assumption that all people can learn and change), or should individuals with the appropriate value systems for implementing best practices be selected in the first place? It is the ideology and functioning of great teachers that must be replicated. The value we place on their craft knowledge is the ultimate test. Unless and until we recognize, prize it and develop ways of disseminating it we will continue to stumble about assuming we can derive best practice in schools from some theory of “learning.” A society that places greater value on poor engineers than it does on great plumbers will have neither theories nor pipes that hold any water.